It seems increasing numbers of mobile users want to get keep it simple. They want a smart looking phone that does the business, but doesn't necessarily have to do absolutely everything. We don't mean basic or old-fashioned - we mean a phone that has the right features to match its user. The Nokia 6300 aims to be just such phone. The Nokia 6300 is a phone that aims to have enduring appeal with plenty of features but a design and function set to attract serious mobile users. 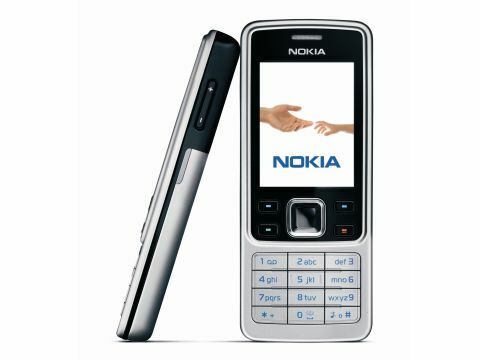 The Nokia 6300 is essentially a classic candybar GSM/GPRS-only handset with no 3G functionality. It has clean and smart lines and is suitably thin. It's big enough to feel good in the hand, but compact enough to slip away discreetly in a pocket. Following in a long tradition of Nokia phones that have appealed to businessmen and other serious mobile users without screaming for attention, the 6300 is bound to gain many fans with its subtle charm. Its refined looks are immediately appealing. The 6300 has a stainless steel front and back fascia, that covers majority of the phone's surface. It is cool to the touch, and is much more than a wafer thin covering of metal. The battery cover is just over 0.5mm thick - substantial enough to make quite a clunk if it falls on a table. The LCD is a 320x240-pixel affair, measuring 2 inches across, and capable of displaying a full 16 million colours. It is the same sort as is found on the top smartphones, and gives the sort of bright, razor-sharp images that demostrate its pedigree. The key count is kept to a minimum. The 12 numberpad buttons are of a sensible size, and an almost rigidly regular size. Menu and option selection is controlled by two softkeys placed directly below their on-screen labels, in conjunction with a central five-way joypad control. Connections on the phone are kept simple too. There are sockets for mains power, a standard 2.5mm headset jack, and a USB connector for your computer. The whole thing weighs in at 91g, and at just 11.7mm thick is sleek enough to count as a super-slim handset. Although this phone can't be updated in the same way as with Nokia's popular Symbian S60 smartphones, it does use the latest non-smartphone S40 platform, which offers a high degree of functionality, and an impressively graphics-rich menu system. The built-in camera does not offer a flash (or even a mirror to help frame self-portraits) but it does offer a reasonable 2-megapixel resolution. There are a reasonable number of setting overrides to play with too, as well as an option to record video. Photographic picture quality is a game of two halves. The recorded brightness range and colour rendition marks the exposure as being good. But the images lack any real punch owing to inadequate contrast. Pictures are clean in good light, but there is an excessive amount of colour noise with lower illumination levels (and we don't mean after-dark scenes). Audio quality, by comparison is first class. Perhaps because of the heavy metal jacket, the sound from the built in speakerphone is excellent - far better than on most phones, providing clear, distinct speech and monaural music at impressively high volumes. Plug in the supplied headset and you get a very useful MP3 player. The sound here is again good, and support for stereo Bluetooth means that you could upgrade the audio quality further without the need for wires. Keeping the cabled headphones is not a bad plan, though, as this allows you to access the on-board FM radio. This almost-standard Nokia feature means that you can be entertained and informed on the move without the need for a broadband downloads - and now the facility automatically tunes in all available frequencies for you at a stroke. You don't immediately notice it, but this phone does offer a fully expandable memory, on top of the small 7.8MB internal memory, and this is essential to make any real use of the video/stills camera. The MicroSD card slot is found by removing the battery cover, although you don't need to power down to get at it. Our review model came packaged with a 1GB card but the standard pack is supplied with a 128MB card. The card offers more than simple storage. It also provides a range of useful applications, not least of which are the games. You get a soccer game, a sudoku puzzler, and a version of the ever-popular Snake. There are some more businesslike applications on the card too. The Opera Mini browser, for example, is capable of getting you web surfing, and taking advantage of the large screen size to look up a world of information on the move. You also get Sensor, a Bluetooth utility that allows you to read a fact file about other users with this feature that are near you at the time (as long as they have set it up and switched it on). And there is Presenter, that lets you use your phone as a remote control for your PC. Nokia's usual unit conversion utility can also be found here. With the 6300 Nokia hasn't push the technological boundaries but instead has crafted a phone which could become something of a classic. Sure, it misses out on all that 3G stuff. But it incorporates a well thought out set of features that are far from basic. Overall, it covers the essentials well - and throws in a few surprises too.